Prince Harry and Meghan Markle have a lot of famous friends and that includes the Obamas. The Prince and the Obamas share a friendship that goes way back, but it’s a strange discovery in Meghan Markle’s and Michelle Obama’s lineage that makes these couples closer than you would have thought. 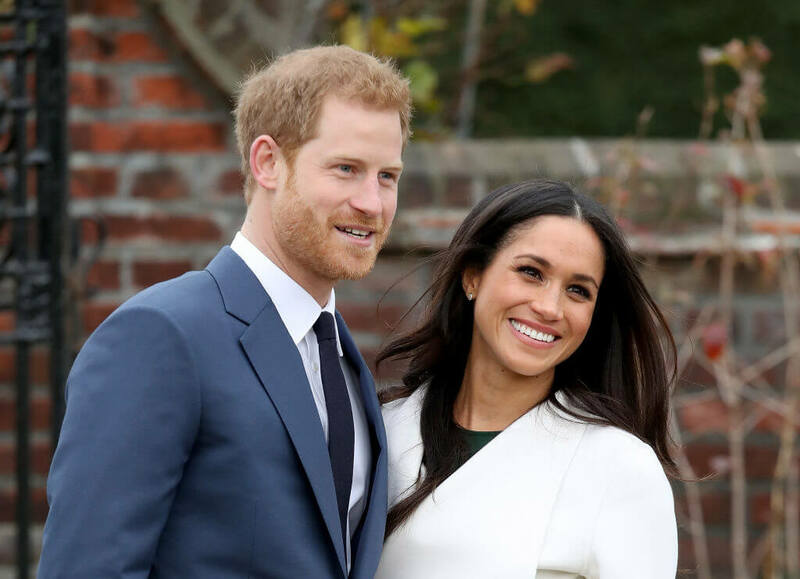 The Royal Wedding of Prince Harry and Meghan Markle was perhaps the hottest event of 2018. Everyone was shocked to discover that the Obamas didn’t get an invite, especially since they are friendly with the royal couple. But Harry and Meghan couldn’t invite the Obamas without inviting President Trump since a snub would cause political tension. So the Royal House decided that since Prince Harry wasn’t likely to become king, inviting international leaders wasn’t necessary. Still, it was unfortunate to see the Obamas absent from the list of celebs at the wedding, especially since they go way back. Before the Royal Wedding of 2018, Prince Harry and Meghan Markle gave an interview to the BBC detailing the origins of their relationship. They revealed that they met on a blind date set up by a mutual friend. As for who the said friend was, they both said, “we should protect her privacy.” That still didn’t stop people from speculating about who she could be. The woman’s identity was eventually revealed to be Ralph Lauren PR director Violet von Westenholz. But for the longest time, many people believed it was Michelle Obama and they had valid reasons to believe so. For one, Prince Harry has been good chums with Barack Obama since the latter’s days in the White House. 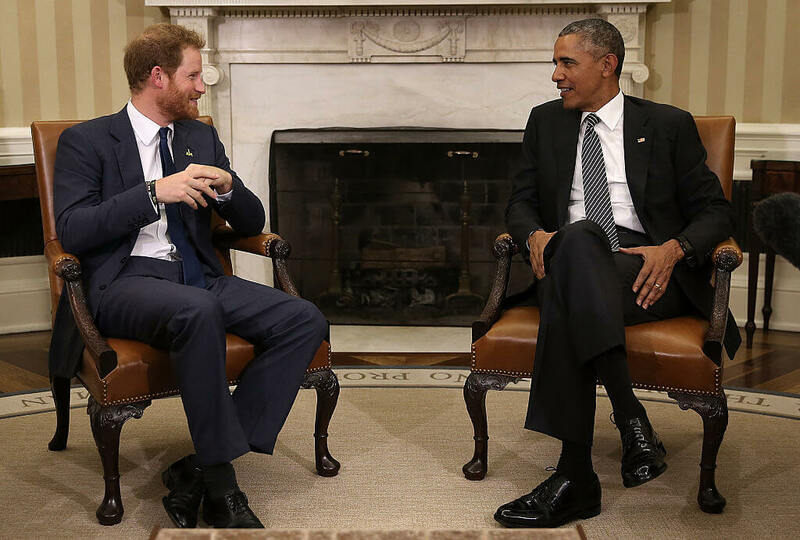 They first met in 2015, when Prince Harry sat down with Obama in the Oval Office for a chat. “I’ve had an opportunity to spend a lot of time with so many of his family members, but this is the first time that we had a chance to talk directly,” Obama said in light of their meeting. Prince Harry stopped by to discuss the Invictus Games, which were held in Florida that year. Harry and Barry were seen frequently together, as you will soon see, which is why many thought the Obamas introduced him to Meghan. Prince Harry subsequently appeared with Michelle Obama on the TODAY show to further promote the games. But as it turned out, the Prince and the former FLOTUS go back even further than that. 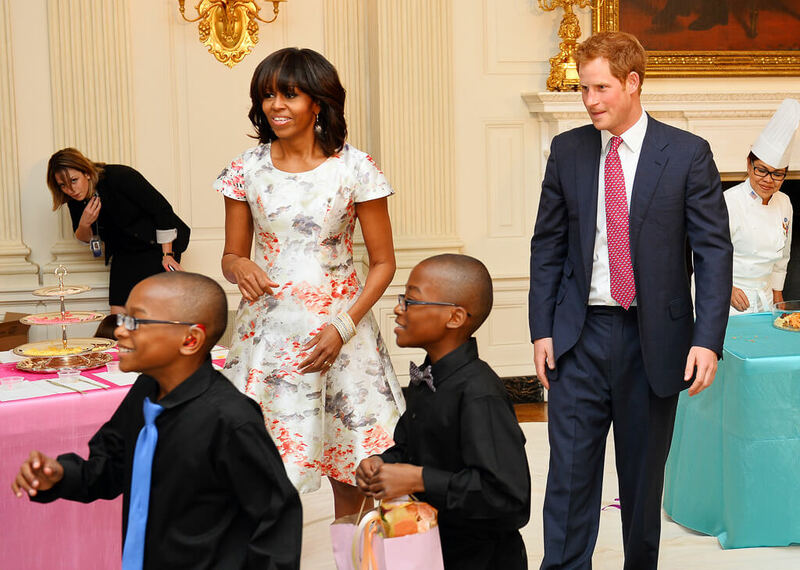 In 2013, Prince Harry surprised guests at Michelle Obama’s Mother’s Day tea at the White House. Since then, Mrs. Obama has not been shy about her admiration for the prince, even expressing that they were friends. 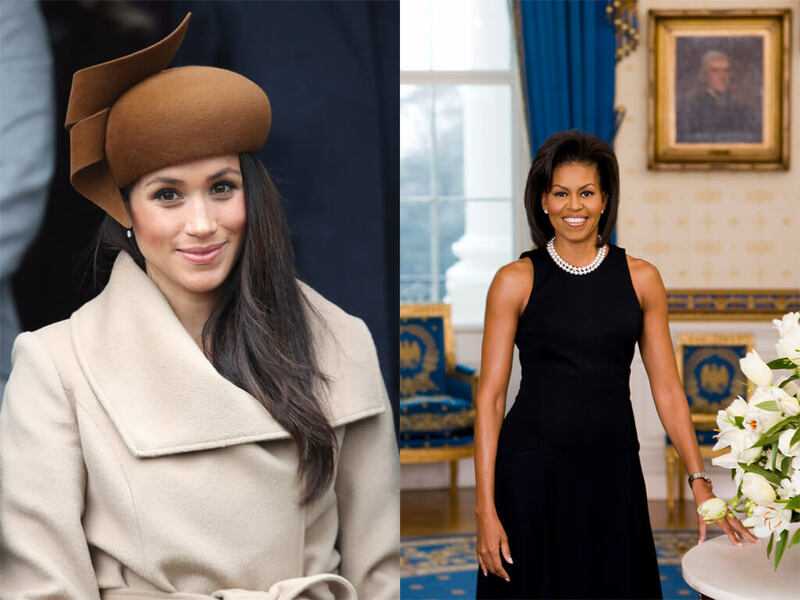 This was long before Harry even had an inkling of Meghan Markle, but little did anyone know that Michelle Obama would have a special relationship to Harry’s future wife. In 2017, Prince Harry further solidified his relationship with the Obamas. 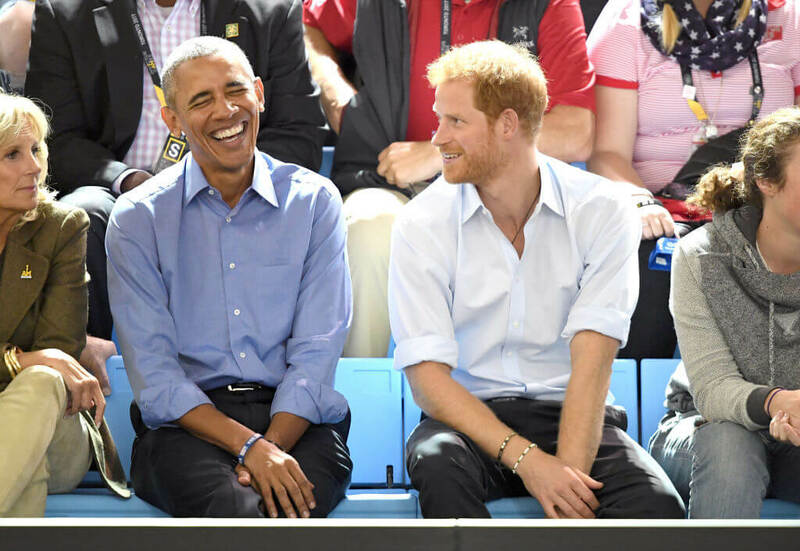 After former President Obama visited Kensington Palace to offer his condolences in the aftermath of the Manchester attack, Obama accompanied Prince Harry to a match at the Invictus Games held in Toronto. While there, Prince Harry famously interviewed Obama, who warned about society’s responsibilities with social media. Later that year, Prince Harry spoke at the Obama Foundation Summit in Chicago to discuss philanthropy and youth engagement. 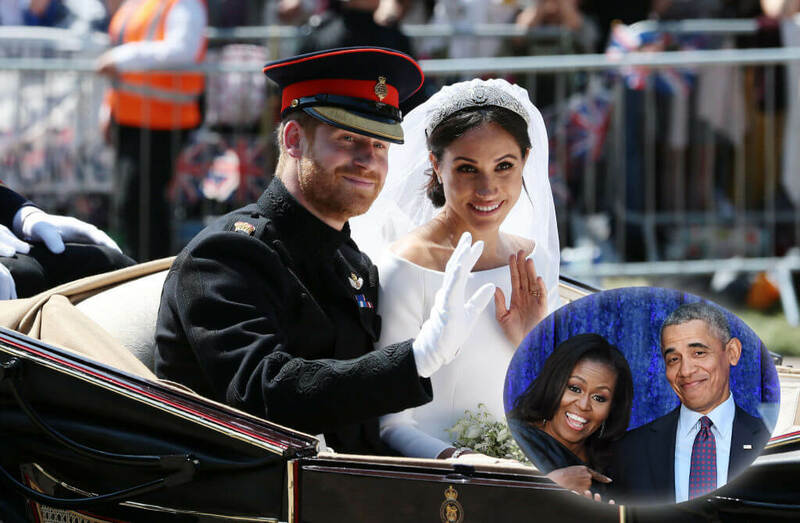 But there is more to the connection between the Obamas and the Duke and Duchess of Sussex. 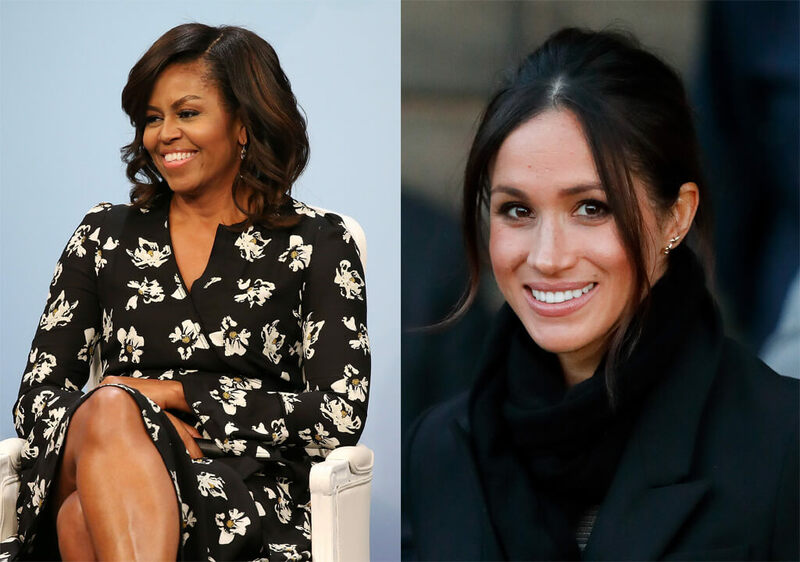 Meghan Markle is from Los Angeles, while Michelle Obama is from Chicago. Though the two women are from completely different sides of the country, they can trace their ancestors back to the same town in Georgia. Genealogist Megan Smolenyak traced the histories of both women and discovered that they both have great-great-great grandmothers from the same Atlanta township of Jonesboro. This all dates back to the late 19th century, in the aftermath of the Civil War. These two women would go separate ways, leading their progeny down paths that went to the White House and Buckingham Palace. 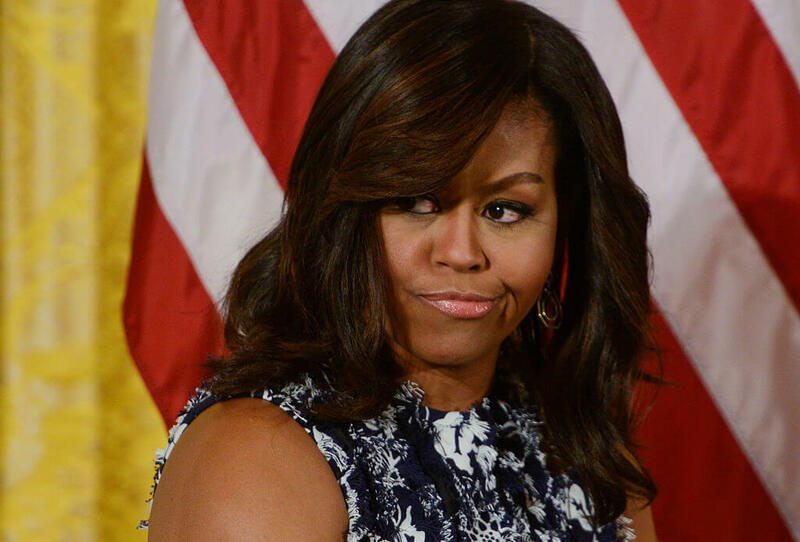 In 2009, The New York Times revealed that Michelle Obama had white ancestors. 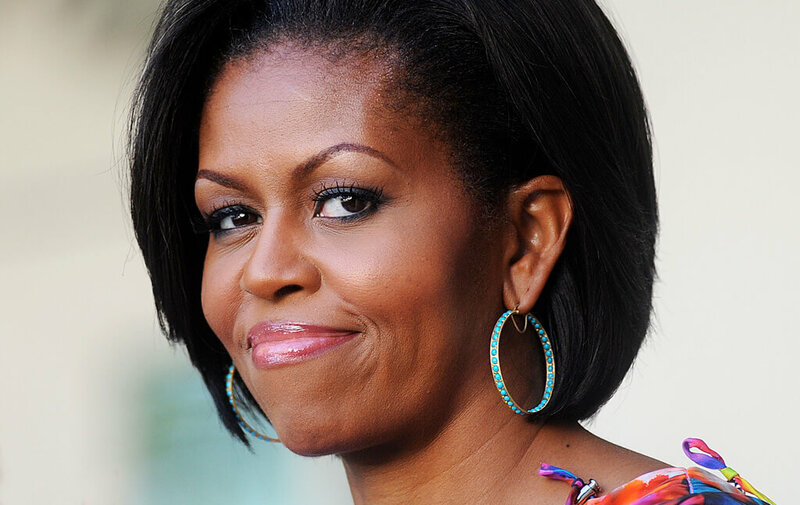 Mrs. Obama’s lineage can be traced back all the way to a young slave girl named Melvinia, who at six years old was taken from everything she knew in South Carolina and sold to the Shields family in Georgia in 1852. She must have been around 15 years old around the time she gave birth to her first son, Dolphus, in 1859. Melvinia never revealed who Dolphus’s father was, nor did she divulge the circumstances surrounding his conception. This led many to speculate that she was raped, or that she had to keep quiet about an interracial relationship. Melvinia was reportedly one of three slaves that the Shields family owned, so their master, Henry Shields, often worked alongside them. “The DNA tests and research indicate that one of his sons, Charles Marion Shields, is likely the father of Melvinia’s son Dolphus,” The New York Times reported in 2012. Charles was around 20 years old at the time of Dolphus’s birth. Still, Melvinia remained mum about Dolphus’s parentage. Regardless, Dolphus T. Shields would go on to become Michelle Obama’s great-great-grandfather on her mother’s side after settling in Alabama. 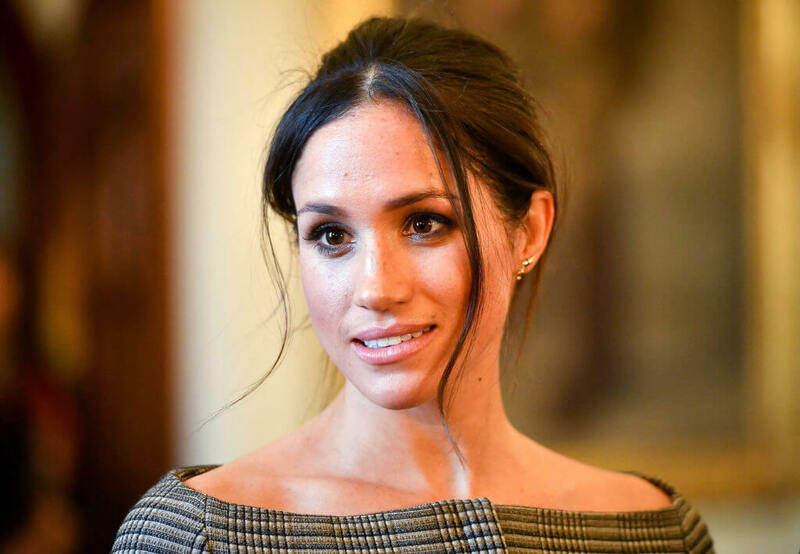 As for Meghan Markle, she too can trace her roots to ancestors who lived in Georgia during the post-Civil War era. Through her mother, Doria Ragland, Markle has a great-great-great grandmother who lived in Jonesboro, Georgia. Known as Mattie, she was ten years old at the time she was recorded into the 1870 U.S. Census. Mattie’s first daughter, Claudie Richie, escaped to Tenessee with Jerry Miah Ragland. The pair would give birth to a son named Steve, who would turn out to be Doria Ragland’s grandfather and Meghan’s great-grandfather. After the Emancipation Proclamation of 1865, Melvinia Shields opted to stay in Georgia and settled in the village of Rex, which is in the same county as Jonesboro. Melvinia is even listed on the same 1870 U.S. Census record as Mattie. Though Melvinia was an adult with kids of her own by then, it wouldn’t be too much of an assumption to think that she and Mattie have crossed paths at one point. Mattie might have even been playmates with one of Melvinia’s kids. But little did Melvinia or Mattie know, their descendants would end up with front row seats to some of the most powerful positions in the world.